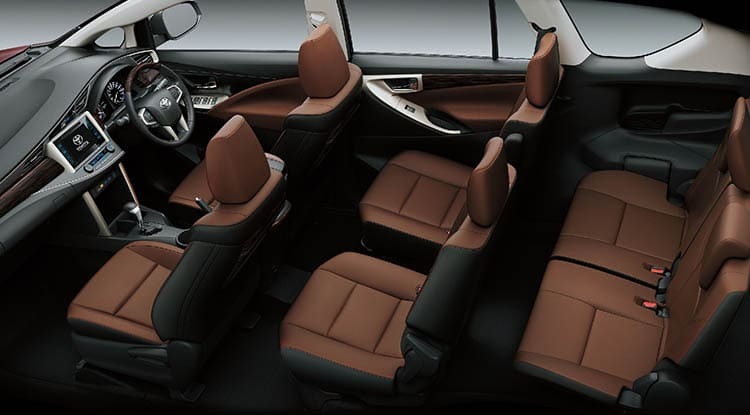 Toyota Innova Crysta feels and looks more premium compared to cars in the same segment. 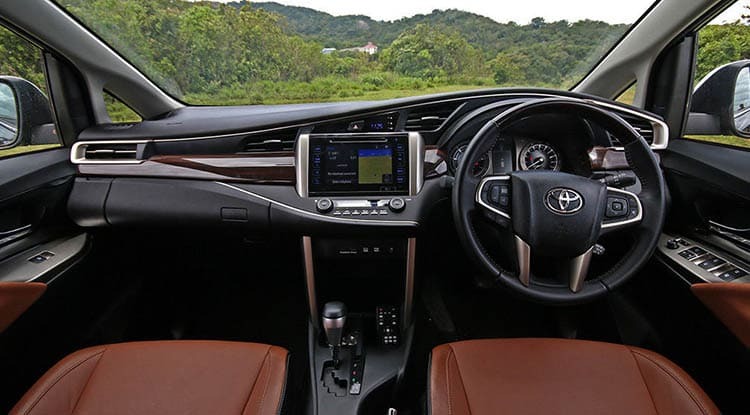 This all new Innova model has improved styling, automatic transmission, enhanced feature list and more power. Some of the major features in this vehicle are rectangular double barrel headlamps, 2.5-litre turbo-diesel engine, air conditioner, heater, cruise control, dual front airbags, knee airbags, 4.2-inch TFT Multi-Information Display, 7-inch touch-screen system with DVD player, dedicated AC vents for the second and third row. 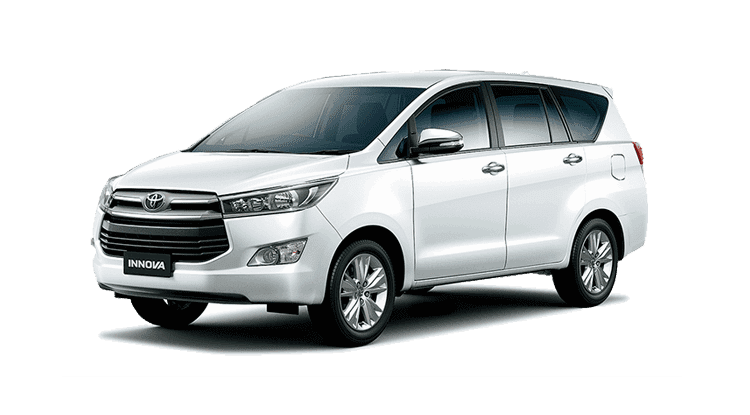 This new Innova makes a statement with its style. The eye-catching front grille gives an impressive and imposing look. Sporty side molding and bold alloy wheels give a sporty fun to every ride. While the wood finish steering wheel and leather seat covers are the hallmark of stylish interiors.